It’s been awhile, so I feel the need to post some more grocery store finds. Both kids have been sick all week, and Joe had his flu vaccine so he’s suffering from a combo of those symptoms and the onset of catching whatever the kids have. I ran to the store to stock up on some soup for my crew and found a couple new ones to try. 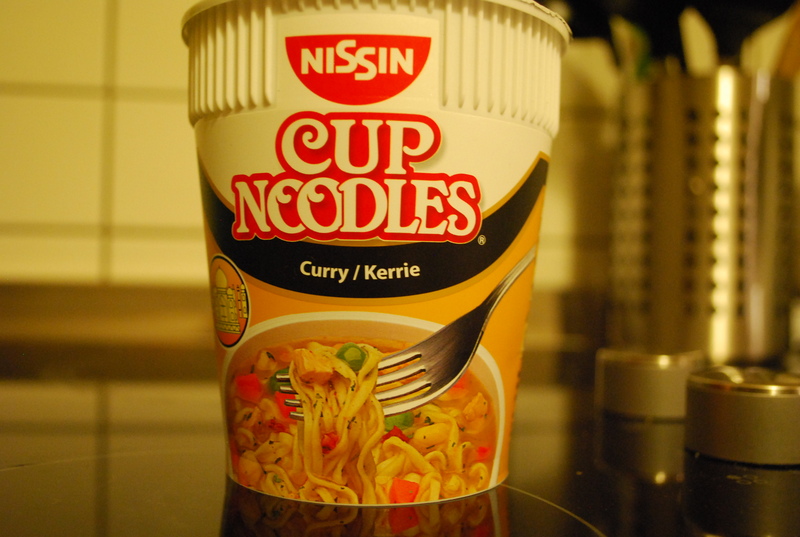 How about curry-flavored Cup Noodles? 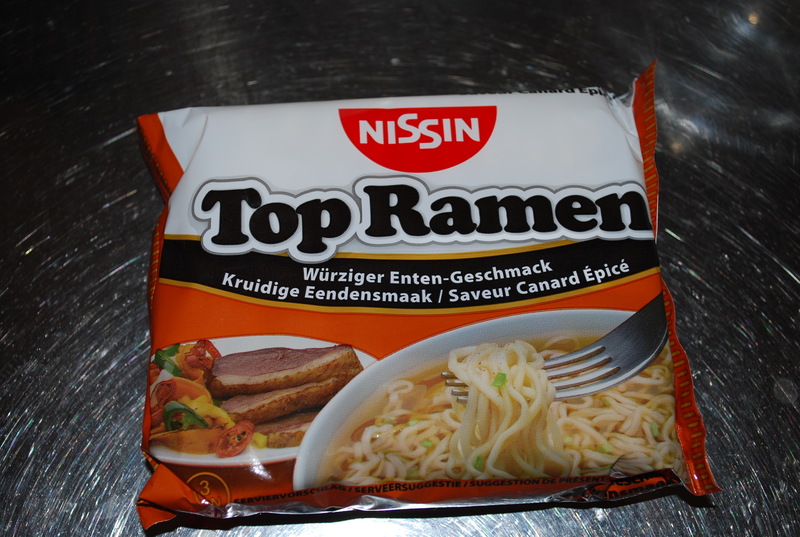 And this Top Ramen is “spiced duck” flavor. Had to try that one! I know these instant noodles are terrible for you, but when you’re dealing with grumpy family members who won’t settle for anything else, you’ve got to compromise sometimes. Hope everyone reading this is healthy! This entry was tagged Food, Foreign. Bookmark the permalink. Hope everyone is well soon, and that you stay well. I always thought it took 2 adults for 1 sick kid, so you are way above and beyond good mom status. I think I let Karen eat hot dogs, against my better judgement because she was a picky eater and pretty thin and at one point her dr. said she wasn’t growing fast enough at her annual physical. Thank goodness a friend suggested I try giving her Ensure, which I made her drink for about a week as a snack, and the added calories seemed to increase to want more calories so she ate a little more. I was quite relieved and happy my friend could suggest something when the doctor didn’t, just that she needed to eat more. So when she would eat hot dogs, I didn’t tell her how much I actually disliked their taste, as well as contents! You do what you need to do in difflcult times! Thanks, Sharon! Parenting is often full of compromises, isn’t it? I’m still working on improving my skills in that area.